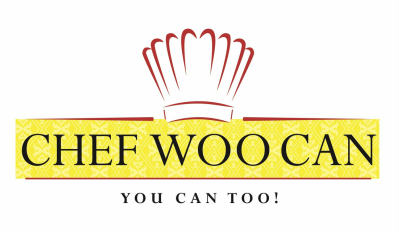 If Chef Woo Can, You Can Too! Now, I cannot guarantee that if you go to your local market that the products are fresh. Case in point, my family had gone to Philadelphia Chinatown for nice meal and shopping. We went to this Malaysian restaurant and one of the popular dishes used rice noodles, now my wife is Malaysian and she knows fresh rice noodles. They served her the same dish and all the noodles were broken and maintain that how the dish is prepared. So buyer beware. I can order the rice based products but will do my best its fresh. -Vietnamese rice paper (circular) and various sizes. I recommend the larger size. Easier to fold. Comes in a packet. -Prepare and wash all ingredients in small dishes in front of you. Heat a flat pan or water (not boiling). This will be used to slide 1 rice wrapper thru the water and will automatically soften. Have the rigid side of the rice paper on the chopping board for easy folding. In another pot, boil water and add rice vermicelli. The texture should be done, not al dente., take out and allow to drain. -in the center of the rice paper, add 3 pieces of halved shrimp and if u want you can add the sliced roast pork to. -Add a handful of the drain rice vermicelli, a handful but depending on size of rice paper, you will need to gauge. add a couple of pieces of cilantro, and add shredded lettuce on top. Ok, what you have is a mound of goodies. The key here is to take one end of the rice paper and its sticky, cover all the goodies as best you can. and tuck under as best as possible. Fold tightly. tehn take each side and fold over both sides. , then continue folding. and your done. Now, if that doesn't work. Before you fold another, you may want to fold the sides first, then fold over and roll. Might be a little easier. Don't get frustrated, it will take practice. Roses are red, violets are blue.... this dinner will make you the luckiest lover in the world! (if she or he loves hot, then get sriracha chili sauce). 1 bunch of cooked broccoli florets( s/b emerald green color), douse under cold water to stop cooking process. 1. Buy chicken breast, blanch in hot water until entirely cooked. Shred chicken breast by breaking up the chicken breast into thin strips with your fingers. 2. Drizzle about 1 1/2 table spoon of sesame oil and 1 tablespoon of oyster sauce. Throw in the sliced scallion and mix gently. can you appreciate that sesame aroma mixed with the oyster sauce. and set the mixture is a serving plate. Surround chicken mixture with broccoli florets and sprinkle some sesame seeds on top. 1. To make it easy, purchase cooked shrimp that has been deveined. for 2 people about 1 pound. 2. You should have kechup and worchestershire sauce. In a non stick pan, drizzle a little oil, add about 1/2 cup of ketchup and a 1/4 cup of worchestershire sauce. Add some sugar if the sweetness of the ketchup is not enough. Mix well and medium heat. add about 1/2 cup of water to make a delicious sauce. Mix well, add garlic powder. Sauce is kind of watery, we now want to thicken the sauce up.. Taste the sauce, are we missing anything? add more? Add slurry to sauce while constantly stirring with a wooden server. Not to thick and not to watery. Add shrimp and coat with sauce and allow heat to heat up shrimp in the warm sauce. Add shrimp to a white platter, give it a nice contrast. folded napkins and silverware. Wine of choice is white wine with all seafood. Candles on each side of dish. Shrimp and chicken are the most popular but tomorrow I'll have a nice beef dish and the wine of choice is a nice red wine. ​Your time is precious, running errands, bringing the kids to their events, commuting and being stuck in traffic, your tolerance level is at its highest. You don't feel like cooking but thinking of something that is hot and spicy and most important easy. I am not one to bet around the bush in avoiding make certain dishes but this dish is easy. As you get home, drop by your local supermarket and purchase a small bottle of oyster and Sriracha chili sauce and a small bottle of sesame oil. Then call your local Chinese takeout and order steamed dumplings. AAAh you home, take the dumplings and place in a non stick pan with dash of oil, medium heat add oyster sauce, not too much since oyster sauce is high in sodium, its very concentrated, add a dash of white wine, squeeze sriracha sauce and a dash of sesame oil and coat the wontons with this hot and spicy sauce and by the way, if you like a little garnish, chop up some scallion and sprinkle over the wonton. easy peasy! Did you ever want to prepare a seafood dish that was truly healthy and delicious? -Take fillet, add crushed garlic and ginger under and over tilapia and oil, and steam until opaque white color. Drain liquid. -Crush garlic and mince and slice thinly the ginger. (Use potato slicer to trim ginger skin). Wash scallion and cut scallion in 2 inch pieces and shred evenly. You did it! Now just get the jasmine rice and you'll have a simple, tasty and healthy meal! This is a traditional dish and its delicious. 1. Cut boneless thighs into small morsels (little bigger than bite size). 3. Wash Bok Choy, may be very sandy. Cut in 2" pieces (nice bite size morsels). 4. In a medium non stick pan, add about 2 tablespoon of oil (vegetable or canola) on medium heat, add smashed garlic and stir fry. Don't allow garlic to burn. 5. Add chicken and stir fry until non pink. Add 2 tablespoon of oyster sauce and a splash of soy sauce and shao shing wine. Stir fry. There may be some sticking of chicken. This is due to the cornstarch. Once you add some water to thicken, it will dissolve. 6. Add chopped Bok Choy and stir fry. The Bok choy should be tender and slightly crisp. If the veggie is over cooked, it will be super tender. You want just slightly wilted and have an emerald green color. The cornstarch should thinken sauce a little but after adding some water. If not add a drizzle of the slurry solution. You don't want to thick or too watery. Bottle of Sriracha Hot Sauce/ Based on your preference for hotness! 1 can of diced water chestnuts. 1. Cut thighs in small bite size pieces. Not a fan of dark meat, add some breast meat to balance. 2. Marinate chicken with a teaspoon of cornstarch, shao shing wine and a dash of soy sauce, garlic powder and/or pepper. 3.Cut up peppers, onions and baby corn and set aside. 4.Heat wok medium, add oil about 2 tablespoons, add smashed garlic and stir fry. 5. Add marinated chicken and stir fry until done. (No pink color). 6. Add peppers, onions, baby corn and water chestnuts and stir fry. Add about 3 tablespoon Hoisin sauce and 1 teaspoon of oyster sauce and about 2 teaspoon shao shing wine. 7. This dish is better with no gravy! 8. Add peanuts with quick stir fry. ​Everyone knows about Ramen noodles. They're everywhere Different flavors and different brands, chicken, pork, shrimp flavors. Spicy and mild. Ramen is an emergency meal. Just poor boiling water and let it sit for a few minutes and viola, a meal in a cup. Needless to say, don't make it a regular habit since it is really not very healthy. The noodles have been fried. What you can do is add some extras to give a little nutrition. Your local supermarket in the fresh food Asian section may have fresh snow pea pods, add a carrot, some mushroom and or fresh bean sprout. Add leftover chicken or beef and you'll have a Deluxe Ramen dinner that has some nutrition from the fresh veggies. What you'll notice is how pretty it looks with the green and orange and bean sprouts. Now when you buy bean sprouts, it must look fresh, not watery or slightly turning a light brown. The sprouts should be solid white and firm. When all else falls, Ramen noodles is a life saver. So, Christmas is just around the corner, last minute shopping for those bargains are everywhere. Running around, fighting for a parking space, pushing through the crowds at the malls, eating wherever there's no line, which will be almost impossible. Planning the Christmas dinner and you want everything to go right. Aah, dessert, Hmmm, pies, cakes, the traditional desserts but did you guys hear about "Ambrosia"
"Ambrosia" may be one of the easiest desserts to make. yes, buying a precooked pie or cake is easy but don't you want to make something yourself? My family always made this dish and it was always a hit. I searched for the red maraschino cherries in that sea of white sour cream. The recipe has always stuck and I'm sharing it with you. Many of you might remember this dish by a different name. But all the same it taste delicious! 3. Drain can of pineapple chunks in a glass to drink but reserve a little juice to mix in. 3. Open mandarin oranges and drain liquid reserving a little to mix in. 4. Maraschino cherries, drain but keep a little juice to mix. 6. The mini mashmallows will absorb a lot of the liquid. The consistency will solidify after its been refrigerated. You don't want it soupy, you want it to be FIRM and the sour cream should help. 7. Cover with saran wrap and set in fridge. The evenings are cold, temps lowered to save some energy, family is hungry, what to make that's warm and not from a box? Yes, you could run out and get McDonald's or any fast food meal but is it really healthy? You family deserves better right! Well, I can recommend a 15 minute meal that's simple and easy! Guaranteed! If you have a rice cooker it makes it that much simpler. You might get one on sale for about $ 10 bucks. 1. Cook ground beef and drain excess oil in a non stick pan. Add smashed garlic, frozen peas and carrots to your liking. Add onion and about 2-3 tablespoons of oyster sauce. If you have caramel coloring, just to slightly darken dish to be more appetizing. 2. Add water, the more water the more gravy or sauce. The consistency should not be runny nor too too thick. Add slurry solution to thicken and its done. How many ways have you prepared chicken? Thousands or just a few ways. Well, here is a simple dish with an Asian flare that would definitely add some zest to your Christmas dinner. 1. Split the chicken breast in half for quick cooking. Then steam the breast. Steaming retains more flavor than boiling it. 2 Allow to cool , then shred chicken breast with your fingers. Wash you hands if you didn't do so already. 3. if you like dark meat for more robust chicken flavor, shred the thigh. 4. Wash scallion/green onion, lay scallion horizontal length wise and cut small pieces vertically. 5. Toss cut scallion in with chicken. Add a dash of pepper, 1 tablespoon of oyster sauce. You may want to add a teaspoon first to see if you like the flavor. (Doesn't taste like oysters). 6. Drizzle sesame oil and mix all components together. Add more flavor if needed. then garnish top of chicken with shredded scallion and sprinkle sesame seeds on it.